This post was sponsored by Cost Plus World Market, a brand that I love dearly. All opinions, as always, are my own. 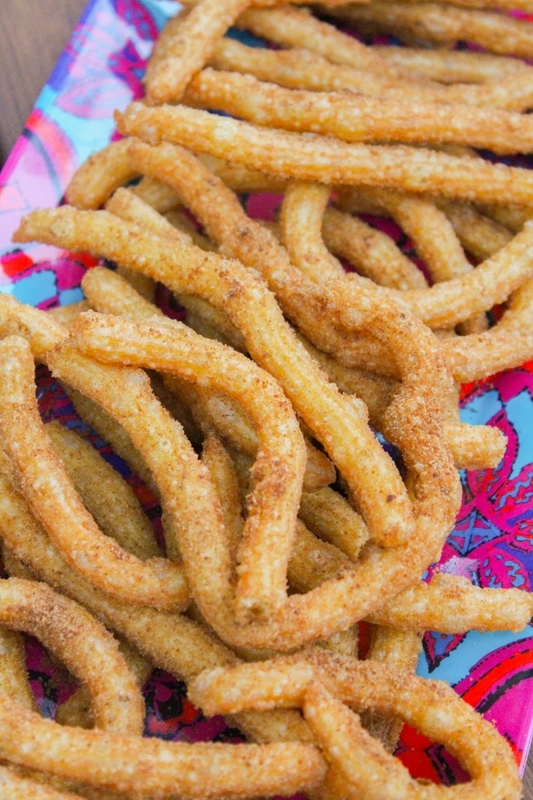 Delicious doesn't even begin to describe how these light and crispy Spanish Churros taste. They are easy to make, hard to resist, and absolutely mouthwatering paired with a simple dark chocolate dipping sauce! I grew up going to fairs and carnivals every summer with family and friends and although the rides and games are definitely fun, the best part was always the food! Don't you agree that fair food just can't be beat? Tall cups of fresh lemonade, corn dogs, cotton candy, and all the fried foods one could dream of. My favorites were the elephant ears and churros because dough + sugar + cinnamon + more sugar is just...well it's just plain awesome! I was browsing through my local Cost Plus World Market a couple of weeks ago, checking out the many delicious International Food Brands, and I had this idea out of the blue to make Spanish Churros. My childhood summer memories flooded back to me and the thought of those warm little pastries covered in sugar and dipped in chocolate needed to be made. Not just for me, but for my kids too. They needed to taste the goodness for themselves! 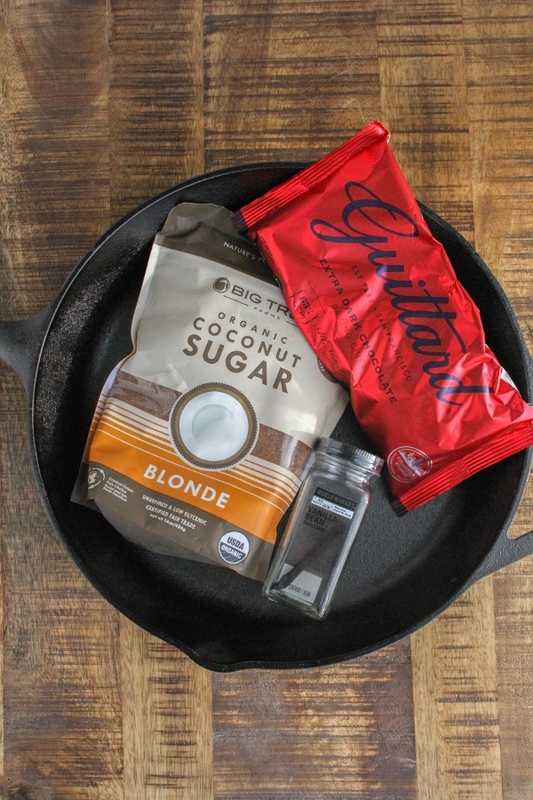 While I was at World Market I grabbed a Tahinitan vanilla bean for my churro batter, a bag of organic coconut sugar for rolling the warm churros in, and some extra dark chocolate chips which I knew would make the perfect dipping sauce. I have so many International Favorites there! I also picked up a new 12-inch Lodge Cast Iron skillet, an essential tool for frying my churros. 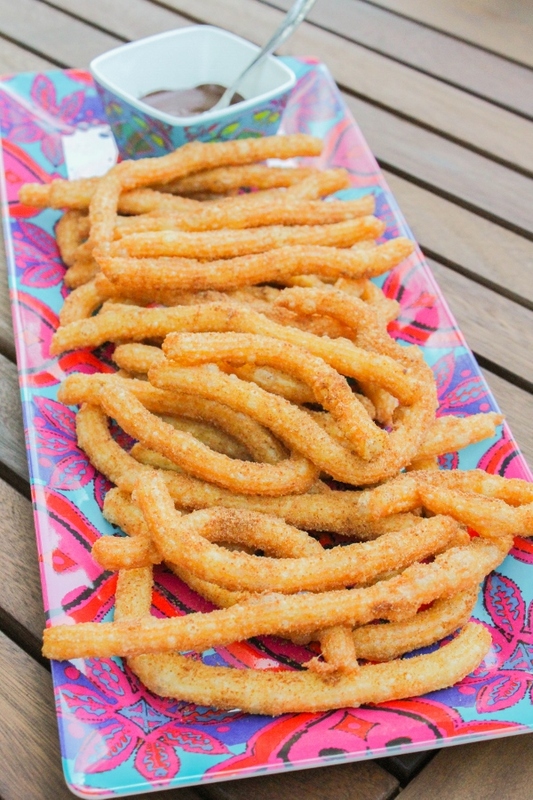 These light and crispy churros are perfect for a party, BBQ, or just for the family. I mean really. Who needs an excuse to eat such a delicious treat?! 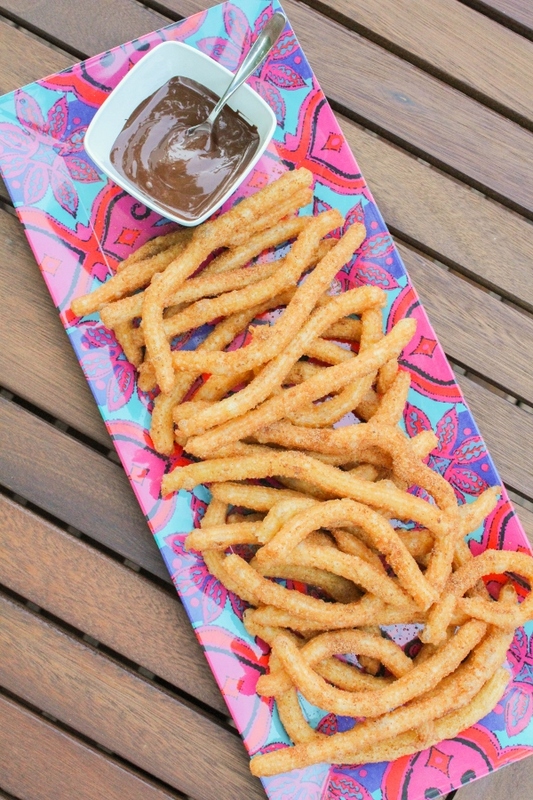 Served with an extra dark chocolate dipping sauce, these churros are decadent and delicious but quite simple to make. The batter comes together quickly and the churros take just a few minutes to fry. 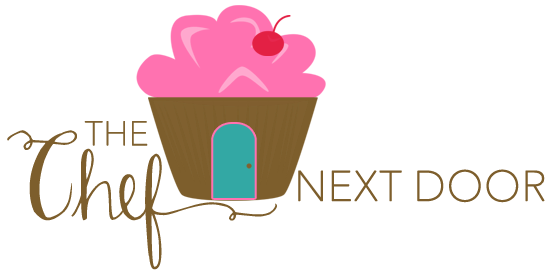 This dessert definitely had me dreaming of the fairs I used to go to when I was a kid! The gorgeous serving platter and bowl pictures above are part of the Oceans Gate Melamine collection at World Market. The pieces are sold separately. To make the churro dough, combine the water, butter, vanilla bean seeds, and salt in a medium saucepan and bring to a boil over medium-high heat. Using a wooden spoon, stir in the flour. Reduce the heat to low and stir constantly until the mixture forms a ball. Remove the dough from the heat and slowly beat the eggs into the dough, again stirring quickly and constantly. Heat about 2 inches of oil in a 12-inch cast iron skillet or heavy bottomed pot over medium-high heat until the oil reaches 350 degrees. Pour the sugar on a plate and set aside. Spoon the churro dough into a pastry bag fitted with a large star tip. Squeeze a strip of dough, about 4-inches long, into the hot oil. Add about six strips of dough to the skillet at a time. Fry the churros, turning them once, until golden brown. Transfer the cooked churros to a baking sheet lined with paper towels to drain the excess oil. As soon as the churros are cool enough to handle, roll them in the sugar. Repeat until all the churros are made. In a small bowl, add the chocolate chips and butter. Microwave on high for 30 seconds, then stir. 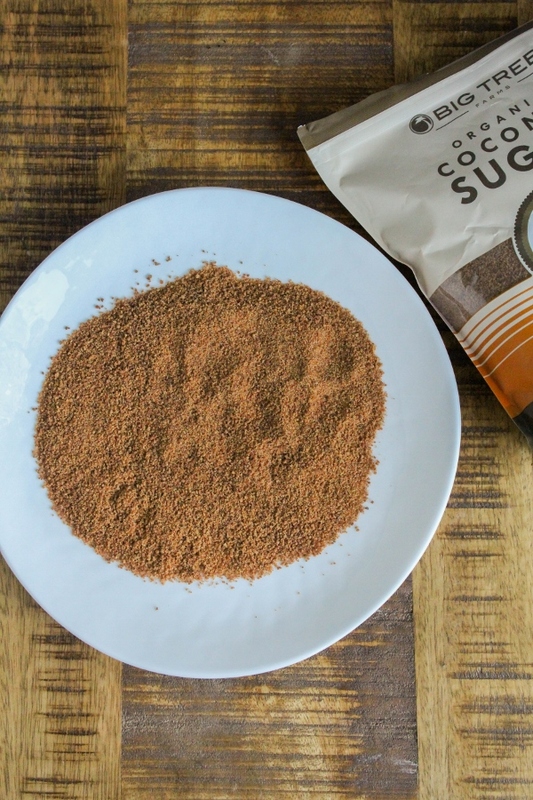 Keep cooking in 30-second increments, stirring in between, until the chocolate is smooth. 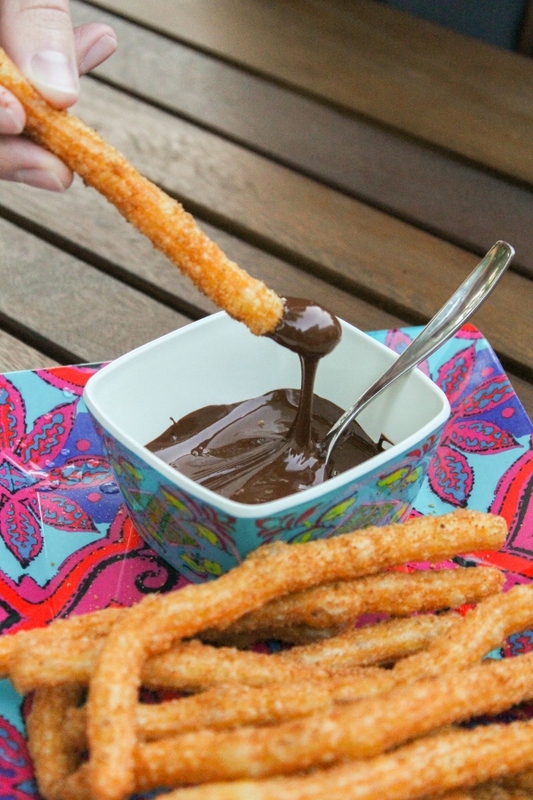 Pour it into a serving dish and serve with the warm churros. Bring a Taste of the world home! Enter America’s Test Kitchen’s Taste of the World Sweepstakes for a chance to win $5,000+ Grand Prize including a gift card from Cost Plus World Market. Enter now!